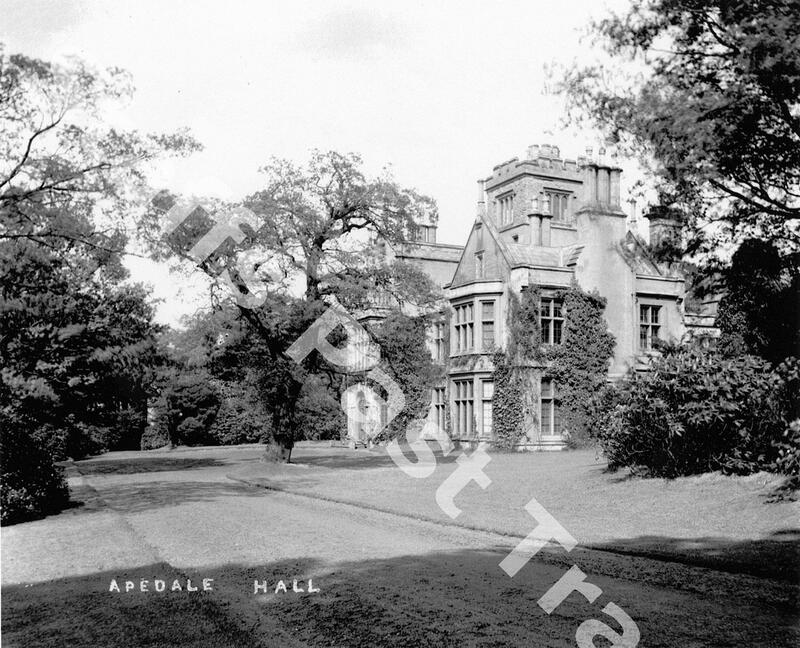 Description:Apedale Hall was the home of the Heathercote family and was built in 1826 by the industrialist Richard Edensor Heathcote on the site of a previous hall. The last Heathcote to live at the hall was Captain Edwards Heathercote, who was an MP for the north west of Staffordshire, and who died in 1928. After this date Mr Hill, the manager of the Midland Coal, Coke and Iron Company, lived here as a tenant. However, the hall gradually fell into disrepair, a buyer could not be found and so in 1934 Apedale Hall was demolished. This photograph shows the hall in all its grandeur and was taken by the local photographer Thomas Warham, who had a photographic studio in Audley. Ordering:Click the button to add the item to your basket. Follow the link for further information on ordering.